The Plynlimon massif: the view out north from its northern edge, where scarp-slopes drop steeply to the Dyfi Valley. 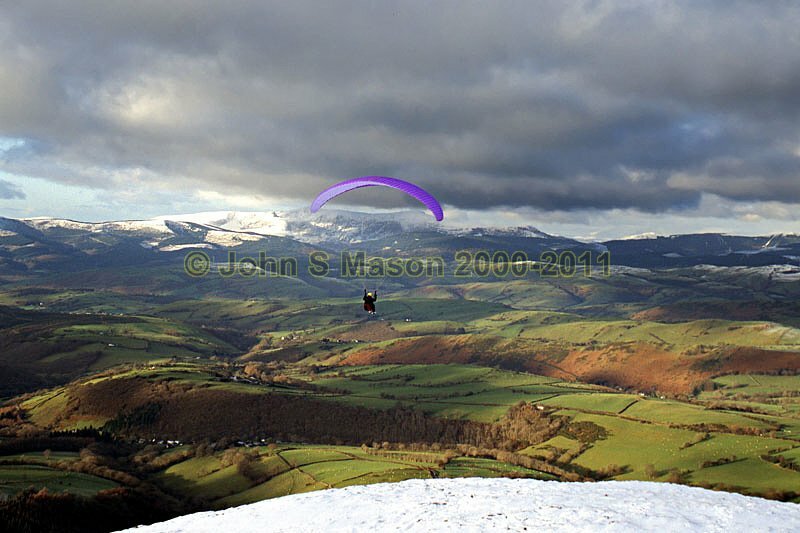 In this case (Boxing Day 2004), I arrived just as this paraglider was taking off. Cadair Idris is the ridge in the background. Product number 2000-2009265. Email me to enquire about this image: click HERE.